An easy way to solve a common problem of ugly cardboard tissue boxes. 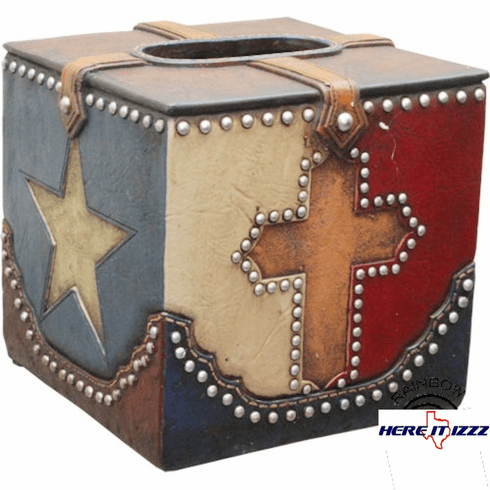 Our Lone Star Cross Texas tissue box easily makes the ugliness disappear. Red white and blue with the Texas Lone Star and a studded cross will make any room right and enjoyable.